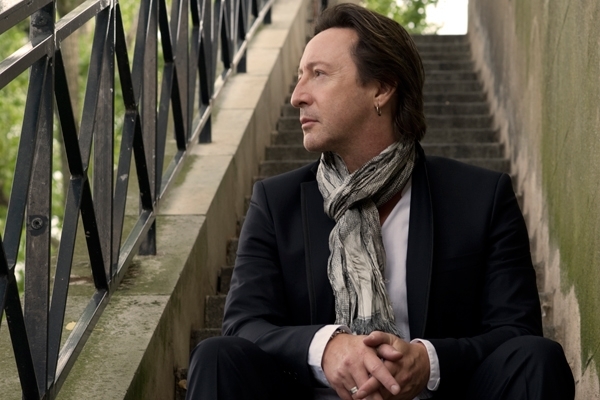 Julian Lennon turns 50 today and to celebrate, he's released the new single "Someday," an uplifting track with heavy strings, clattering percussion, delicate chimes and soothing harmonies. The Beatles progeny linked up with Aerosmith's Steven Tyler for the track, and the duo push a positive mindset and nods to John Lennon's catalog. "We're all in it together, someday," sings Lennon. "One love now and forever, someday." "Someday" is the first single off Lennon's forthcoming album, Everything Changes, on Music From Another Room.